Via Mail: „Yes, it´s another show again. This time we present another icon from Hamburg´s streets- 56k. His prolific artworks have been around for much longer than a decade now and his one of a kind graphic- style is outstanding. 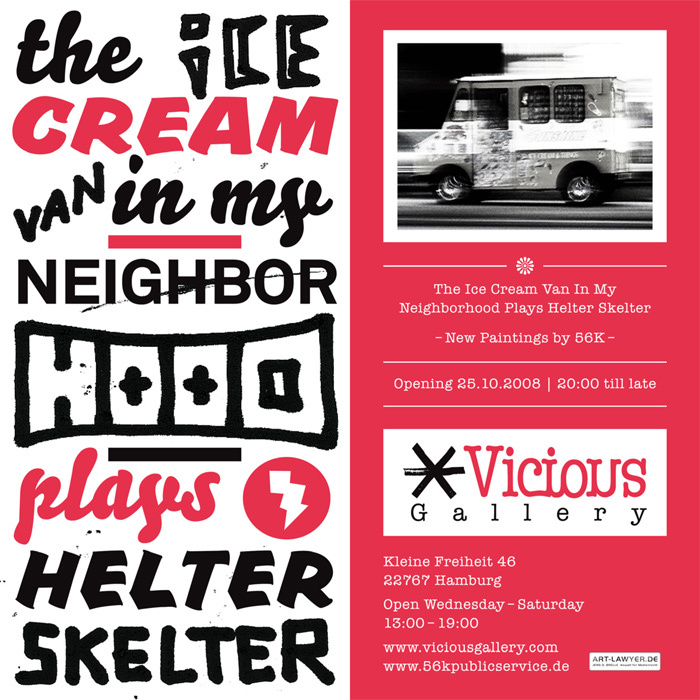 After participating already in our `Hands on Jan Delay`- exhibition, now he´s back with his solo- show at Vicious Gallery.